Le fragole del Baltico (“Baltic strawberries”) provides an insight into Latvian contemporary art. Initially intended to complement the Latvian pavilion at EXPO 2015, it has fortunately survived the sad cancellation of the pavilion. 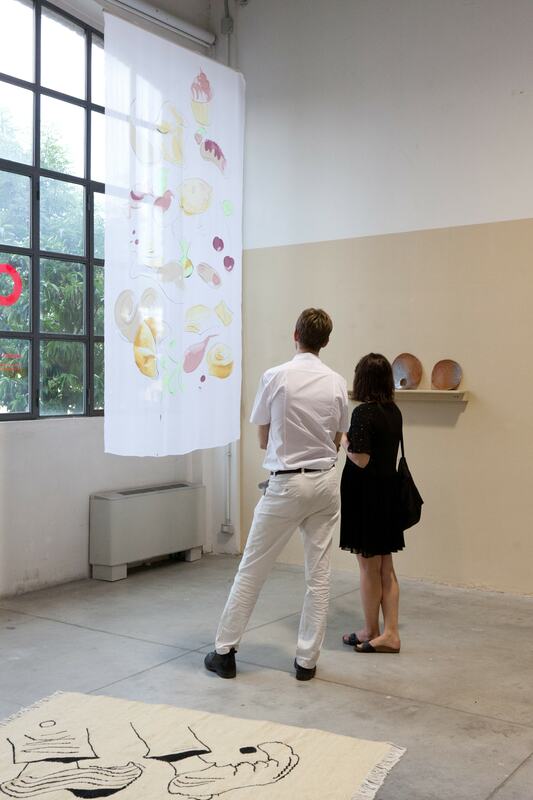 Le fragole del Baltico presents a selection of ten artists, for the most part born around 1980, and mostly exhibited in Italy for the first time: Ēriks Apaļais, Jānis Avotiņš, Ieva Epnere, Kaspars Groševs, Ieva Kraule, Inga Meldere, Daria Melnikova, Ieva Rubeze, Krišs Salmanis and Ola Vasiljeva. The exhibition doesn’t seek its unity in a medium or in a concept; instead it largely forms itself in the practice of its selected artists. Its overall framework is a display of Latvian artists’ works, both existing and new commissions especially created for the exhibition, that in its curation uninterruptedly embraces distinct artistic personalities and individual works in a wide range of media, encompassing: painting and sculpture, applied art and video, and photography and sound. The title, whose ambition is to be poetic and simultaneously ironic, was inspired by the soft-focused, vaguely exotic perception in Southern Europe of the Baltic countries as cold lands, under whose grey skies a fruit such as a strawberry could never grow. In fact, strawberries and other berries regularly buck up the tables of Latvians, starting from the first months of summer right through to the rich autumn season; and contemporary art, which, aside from one or two names that are often not even linked to their country of origin, is little known in Italy, yet is no less vital and present. While the exhibition has no overarching concept or medium, it is somewhat compact, and not just in terms of age. It mirrors a taste: the taste of the curators, but also a taste much more elusive and difficult to pinpoint, shared by this particular generation of artists. Here, some elements tend to reappear, although in very different shapes: a slant to revisit the past, be it personal and familiar or historical, as in Inga Meldere’s paintings and plaster miniatures evoking expressive short stories, or in Ieva Epnere’s series of photographs of Latvian students bringing flowers to their teachers on 1st September, a ceremony originated in Soviet times; a sense for the landscape, the weather, the change of the seasons, that can be found in some of the witty, ingenuous, poetic videos of Krišs Salmanis; a diffuse melancholy, haunting Ēriks Apaļais’ sparse, meditative paintings, as well as Jānis Avotiņš’ series of drawings – anonymous postcards of mysterious locations – paired with a painting of a ghostly couple; a quite peculiar brand of humor, deadpan and slightly nonsensical, an example of which is Ieva Rubeze’s video compilation of Latvian “TV healers” from the 90s set to a white noise soundtrack, which is supposed to manipulate and improve one’s spiritual energetics; a taste for decoration, applied arts and all kinds of hand-made objects, typified by Kaspars Groševs’ knitted tracksuit, an outfit for an opening event, or by Ieva Kraule’s setting for a fairy tale feast – ceramic plates bearing cartoonish eaters’ faces, and fabric painted with pastry motifs -, or by Daria Melnikova’s literal take on measurements and (de)composition through burned images, a smashed bowl or hand-drawn graph paper; and last but not least, a certain, elusive idea of domesticity, as framed in Ola Vasiljeva’s pun-filled constellation of objects – a woolen rug, a door turned into a blackboard on one side and a bulletin board on the other, and two dada-esque assemblages including glass shoes. Aiming at amplifying the aspect of domesticity and to develop the show as an interior of sorts, the curators have gone for a display whose taste is closer to the 19th century Salon or to the artists’ studio / houses-turned-museums, like that of Riga’s modernist couple Romans Suta and Alexandra Beļcova, than to the Anglo-Saxon 20th century white cube. A display that includes colored walls and curtains, a sofa and armchair, potted plants – a regular feature of homes, artists’ studios or even exhibition spaces; – helps to record the relation between the various artistic elements – the berries in this basket – linked by a peculiar setting where artworks recall and replace and exchange a wide range of physical ephemera – furniture and other items of our daily life. Ēriks Apaļais (1981) lives and works in Riga. Hemainly works in painting, depicting objects, symbols and cultural signs that anchor both in his private as well as collective memory. Recent solo shows include Twigs (2014), The Arsenāls Exhibition Hall, LNMM, Riga; Inscribed Silhouettes (2014), Galerie Vera Munro, Hamburg; Words (2013), Kim? Contemporary Art Centre, Riga; Art Cologne, New Positions (2012), Cologne, Germany; Confessions (2011), Galerie Vera Munro, Hamburg, Germany; group exhibitions: The Forgotten Pioneer Movement (2013), District Berlin, Berlin, Contexts of Painting, CAC, Vilnius. The artist has been awarded the Karl H. Ditze-Preis for best diploma, the University of Fine Arts of Hamburg, Germany (2011) and DAAD (German Academic Exchange Service) award for excellence. In 2011 he was nominated for Ars Viva 11/12 prize. The artist is represented by Galerie Vera Munro. Jānis Avotiņš (1981) lives and works in Riga. 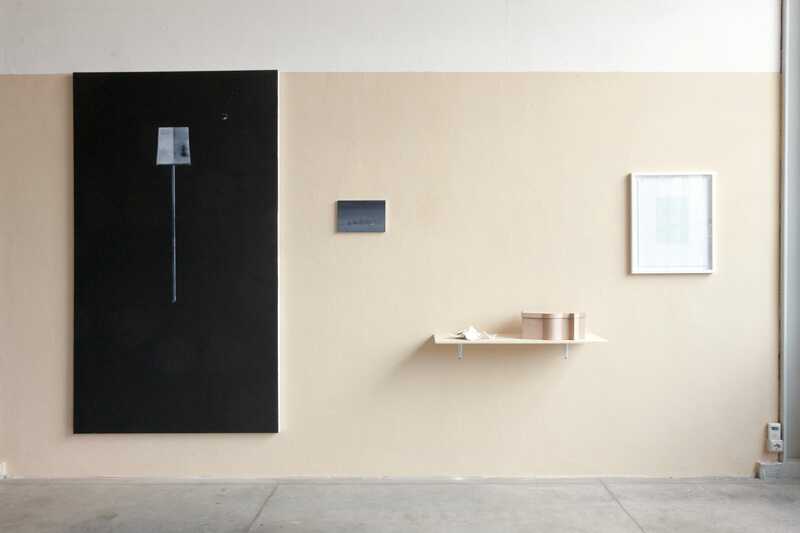 His practice encompasses monochrome paintings, drawings and occasional objects. They deal withthemes like loneliness and alienation, with ghostly faces and figures reminiscent of Soviet-era photography. Recent solo shows include Jānis Avotiņš Johnen Galerie, Berlin, (2013), Galerie Rüdiger Schöttle, Munich, (2013), Ibid., London (2013), Galerie Vera Munro, Hamburg (2013), Ludwig Forum, Aachen (2008). Recent group shows include: Fobofilia (2015), Fondazione Sandretto Re Rebaudengo, Turin, Ostwärts, Ludwig Forum, Aachen (2014/2015), Only here (2013), The Federal Republic of Germany’s Contemporary Art Collection, Bonn, Gaiety is the most outstanding feature of the Soviet Union (2012), Saatchi Gallery, London, Is It That He Does Not Seek The Truth, But Does Want To Influence? 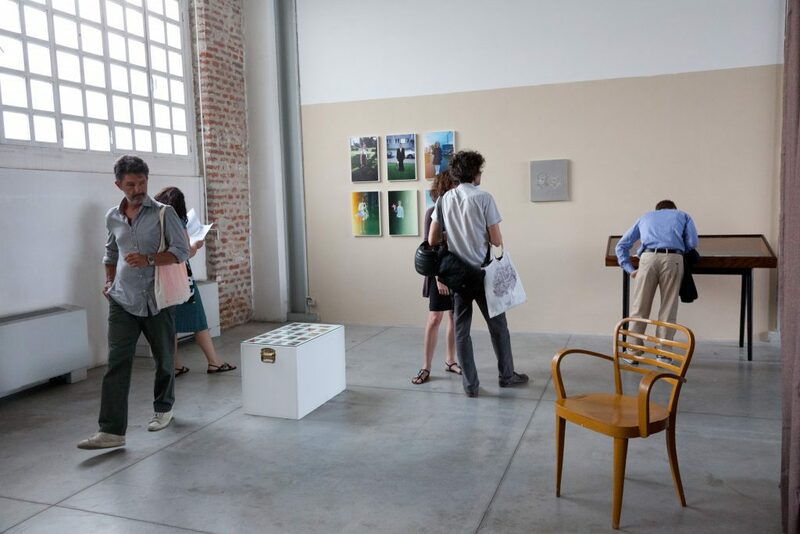 (2011), Riga Art Space, Riga, Latvia and 14th Vilnius Painting Triennial: False Recognition (2010), CAC, Vilnius. The artist is represented by Galerie Rüdiger Schöttle and Galerie Vera Munro. Ieva Epnere (1977) lives and works in Riga. Her body of work includesphotography, video and film, where personal and private stories are the starting point for artistic reflections on identity, tradition and ritual.Recent solo shows include: Waiting Room (2015), Contretype, Brussels; Solo Show (2014), Galerie des Hospices, Canet-en-Roussillon, France; Mindscapes (2013), Kim? Contemporary Art Centre, Riga, Latvia; The Green Land (2010), Kim?, Contemporary Art Centre, Riga, Latvia; Darbi (2009),Kulturforum Alte Post in Neuss, Germany; Mikrorajons (2007), The exhibition hall Arsenals in Riga, Latvia; Encounters (2006), Atelier Hoeherweg in Dusseldorf, Germany; Group exhibitions: Ornamentalism. The Purvītis Prize (2015), Arsenale, Venice, 61. International Short Film Festival Oberhausen, International competition, Germany (2015); Bad Feminism, RPL Film Theatre, Regina, Canada (2015); 60. International Short Film Festival Oberhausen, International competition, Germany (2014). Kaspars Groševs (1983) lives and works in Riga. 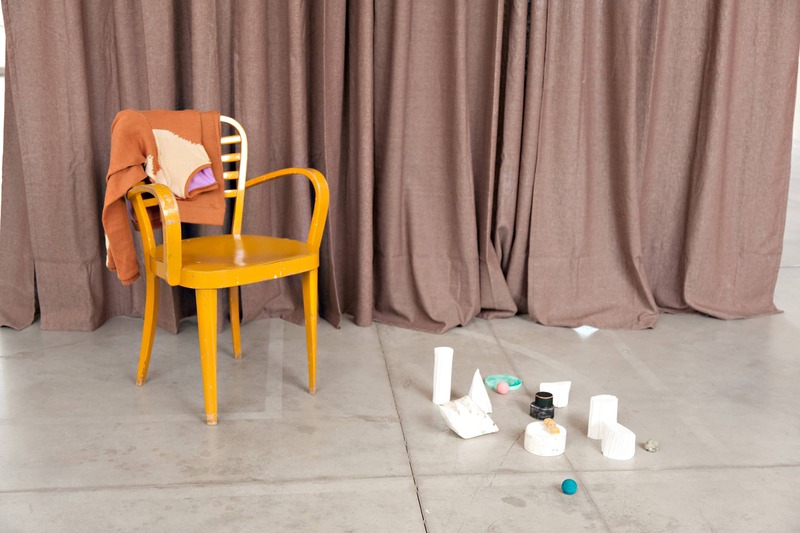 The artistuses a variety of media and materials, such as – drawing, text, textile, sound, objects and installations in aconstant search forformal solutions, aimed at shaping a coherent and intriguing message.Recent solo/two person exhibitions include Qu’est-ce que ça peut faire tout ça(in collaboration with Ieva Kraule, 2015), Shanaynay, Paris; OAOA (Jūras griesti) (in collaboration with Ola Vasiljeva, 2014), Jūras Vārti, Ventspils; 00:10:00:00 (2013), Kim? Contemporary Art Centre, Riga; I/O. Without Enemies(2011), Kim? Contemporary Art Centre, Riga and H (2012), Kanepes Culture Centre, Riga. Group shows: Lily’s Pool (2015), Art In General, New York; Vortex (2014), Project Space Garage, Moscow and Aspen-Kemmern (2014) at Kim? Contemporary Art Centre, Riga. He infrequently performs with his music and contributes texts to the Latvian cultural press and exhibition catalogs. Groševs is a co-founder and curator of gallery Four To Seven (427) in Riga. Ieva Kraule (1987) lives and works in Riga. By usingdifferent media including photography, video, ceramics and painting she references applied arts and architecture of the Soviet era while tracing out theorigins of both personal and collective aesthetic codes. Recent solo exhibitions include Nobody dances like that anymore (2014), gallery 427, Riga; …if all you told was turned to gold(2014), Vita Kuben, Umeå; Loneliness will be my greatest treasure (2014), Kalnciema kvartāls gallery, Riga; 11 out of 10 (2013), Kim? Contemporary Art Centre, Riga, and Long Awaited Holidays by the Abyss of Fictitious Memories (2012) at the gallery Bastejs, Riga. Group shows: Lily’s Pool (2015), Art In General, New York; Vortex (2014), Project Space Garage, Moscow, and Aspen-Kemmern (2014), Kim? Contemporary Art Centre, Riga. Kraule is a co-founder and curator of gallery Four To Seven (427) in Riga. Inga Meldere (1979) lives and works in Helsinki and Riga. She works mainly with painting.Her gently coated canvases, characterized by their light and pastel tones, fragile combinations of materials and techniques, often depict apparentlynaive-seeming narratives inspired by personal memories and family events. Recent solo exhibitions include Berzkalni (2015), gallery G12, Helsinki. Magic Mountain (2014), gallery XO, Riga; Untitled (2013) together with Oscar Santillan at Temnikova & Kasela gallery; Enough is Enough (2011) with Mikko Hintz at Temnikova & Kasela gallery; Offset (2011), gallery XO, Riga. Group shows: Tides of Change. Balticum (2011) HangART-7, Salzburg, Austria; FAX (2011) South London Gallery, London, England; Mother of Wind (2010) HFBK gallery, Hamburg, Germany. Meldere’s work was also included in the Vilnius Painting Triennial in 2010. Daria Melnikova (1984) lives and works in Riga. By using sculpture, design, printmaking and mixed techniques she creates spatial and attimes puzzling installations where beauty and intrigue, the handmade and the mass-produced are in balance. Recent solo exhibitions include Brewing Harmony (2014) at Gallery Vita Kuben, Umeå, Sweden; A Green Silhouette of Grey (2014), Kim? Contemporary Art Centre, Riga and Dashing Lines and Forming Heaps (2011), Kim? Contemporary Art Centre, Riga. Group exhibitions: Lily’s Pool (2015), Art In General, New York;Literacy-Illiteracy (2014) at the 16th Tallinn Print Triennial, KUMU, Tallinn; Present Tense (2014), Kalmar konstmuseum, Kalmar; Aspen–Kemmern(2014), Kim? Contemporary Art Centre, Riga; Vortex (2014), Project Space Garage, Moscow; Sculpture Is Space (2013), Hobusepea, Tallinn and 24 Spaces – Cacophony (2013), Malmö Konsthall, Malmo. Melnikova has received the first Kim? Residency Award in 2015 and is in residency at KW Institute for Contemporary Art in Berlin from May till July. Krišs Salmanis (1977) lives and works in Riga. He works with the media ofphotography, video, installation, animation and graphic art, creating conceptually charged accumulations-sets characterized by attention to detail and intellectual sharpness of wit. Together with Kaspars Podnieks, Salmanis was part of the exposition for the Latvian Pavilion at the 55th Venice Biennale. Latest solo exhibitions include 100 Books You Need Not Read Before You Die (2015), Kim? Contemporary Art Centre, Riga; North by Northeast. The Deconstruction of the Pavilion (together with Kaspars Podnieks, 2014), Kim? Contemporary Art Centre, Riga; Light (2012) in CAC Vilnius, Lithuania; The Fragility of Trust (2012), gallery Alma in Riga, Latvia; The Earth may be spinning around the Sun, but the World is turning around me (2011), Raum linksrechts in Hamburg, Germany; Moving Landscape (2011), Galerie fűr Gegenwartskunst in Bremen, Germany. He’s a regular contributor to the visual arts magazine Studija and other daily press. The artist is represented by Gallery Alma. Ieva Rubeze (1977) lives and works in Riga. Her work – poetic videos and installations –are characterized by a clear conceptual core, revelation of thought paradoxes, wit and an extraordinary, timeless radiance. As a member of the artist group Famous Five (together with Līga Marcinkeviča and Mārtiņš Ratniks, 2002) she has represented Latvia in Sao Paulo Biennial, Venice Biennale (2005) and group shows, including: Buket (2008) in Moscow, Time Will Show (2008) in Flensburg andRīga dimd! (2010) in Rostock. In 2014 she won the competition Riga Smiles Again organized by the Boris and Ināra Teterev Foundation in the framework of the program Art in Public Space and her proposed artwork (Ghost) will be implemented in the Riga urban environment in 2015. Ola Vasiljeva (1981)is a Latvian-born artist living and working in Amsterdam. Vasiļjeva’s practice encompassesand crosses video, sculpture, music and texts. Her works engage with references to craft, music, subcultures and literature. Recent solo exhibitions include University (2015), Galerie Antoine Levi, Paris; The Limp of A Letter (2015), BOZAR, Brussels; Jargot (2014), New York, USA; Cinq à sept (2013), Kim? Contemporary Art Centre, Riga, Latvia. Group exhibitions, including Society Acts – The Moderna exhibition 2 (2014), Moderna Museet, Malmö ; Last Seen Entering the Biltmore (2014), South London Gallery, London; What Were You Expecting, Mr. Milquetoast, a Plot? 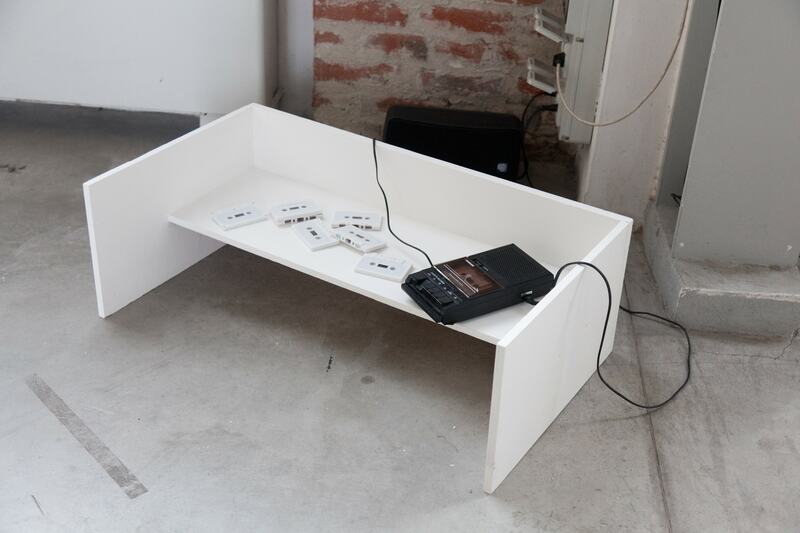 (2014), Badischer Kunstverein, Karlsruhe, Germany; Material Information (2012), Bergen Kunstmuseum, Bergen, Norway, among others. Vasiljeva is a founding member of the artist collective The Oceans Academy of Arts and the publisher of OAOA Magazine. In 2014 she was nominated for the Prix de Rome. Ola Vasiljeva is represented by Galerie Antoine Levi, Paris. Simone Menegoi (1970) is a critic and curator based in Milan and Verona. Since 2005, he has curated exhibitions in private and public spaces in Italy and abroad. Recent exhibitions include The Camera’s Blind Spot II, Extra City Kunsthal, Antwerp, 2015; The Warm Statues. Sculpture – Body – Action, 1945-2013, Museo Marino Marini (Florence), 2014; Michael E. Smith, Triennale di Milano, 2014; The Camera’s Blind Spot. Sculpture – Photography: Recent Examples, Museo d’Arte della Provincia di Nuoro, 2013; LE SILENCE Une fiction, Nouveau Musée National de Monaco, 2012; Bouvard and Pecuchet’s Compendious Quest for Beauty (together with Chris Sharp), David Roberts Art Foundation (London), 2012. He has written essays that have appeared in the publications of a number of international institutions, such as Tel Aviv Art Museum, Ludwig Museum (Budapest), New Museum (New York), Fondazione Galleria Civica di Trento in association with Villa Arson (Nice) and Salzburger Kunstverein, Kunstforum Aachen, Camden Arts Centre (London), Fondazione Prada (Milan and Venice). He contributes regularly to artforum.com. Zane Onckule (1982) is a curator, occasional critic and Programme Director at Kim? Contemporary Art Centre, Riga since 2010. She has organised, curated and co-curated exhibitions, parallel programming as well as edited publications and other corresponding materials in collaboration with wide range of artists, curators and theoreticians. She was a co-commissioner of Latvian Pavilion at the 55th Venice Biennale organized in partnership withArt in General, New York. Recent curatorial activities include curating Sink Down Mountain, Raise Up Valley (2015), solo exhibition by Ulla von Brandenburg at Kim? Contemporary Art Centre, Riga; Lily’s Pool (2015), group exhibition at Art in General, New York; Jargot (2014), solo exhibition by Ola Vasiljeva at Art in General, New York and Little Vera (2014), a duo show by Sanya Kantarosvky and Ella Kruglyanskaya at Kim? Contemporary Art Centre, Riga. Careof (Milan, Italy), founded in 1987,is an Italian non-profit organization for the promotion of contemporary artistic research. It includes people that firmly believe in the value of art as a resource that has the capacity to develop new concepts and promote knowledge. With passion, Careof encourages cultural experimentation in all forms, with particular attention paid to young artists. Developing a dense teaching and exhibition program, documentation services on visual arts] and residences for young creative artists, the organization is also an intermediary between artists, curators, critics and a non-specialized public.